The Antihyperlipidaemic Property of Methanol Leaf Extract of Chrysophyllum albidum in Albino Rats (Wistar Strain) Fed on High Fat Diet. Keywords: Antihyperlipidaemic, Chrysophyllum albidum, , Orlistat, Beef tallow, Cholesterol. Hyperlipidaemia is a well documented risk factor for cardiovascular disease, a major cause of mortality world-wide. Chrysophyllum albidum (white star apple) has several medicinal properties. Ingestion of the fruits has been found to lower lipid levels in the body, due to its high fibre content. Research works have shown that several parts of the plant are highly medicinal. 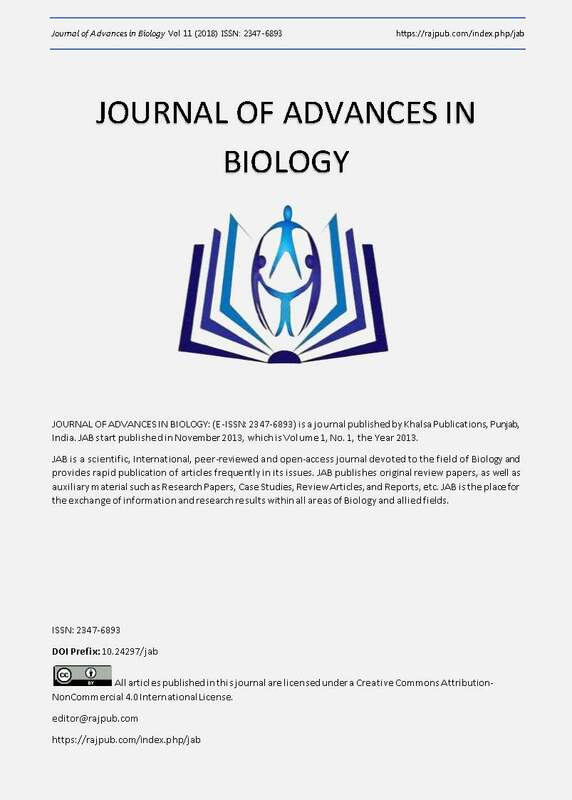 The aim of this study was to evaluate the antihyperlipidaemic property of methanol leaf extract of Chrysophyllum albidum in Wistar rats fed with a high fat diet. Thirty male Wistar rats weighing between 130g-150g were distributed into five groups of six animals each. Group 1 received normal fat diet (NFD). Group 2 received high fat diet (HFD; Grower mash supplemented with 20% beef tallow). Group 3 received HFD and a standard lipid lowering drug, orlistat (20mg/kg body weight, p.o). Animals in group 4 and 5 were fed on HFD and received methanol leaf extract of Chrysophyllum albidum, 250mg/kg and 500mg/kg, p.o respectively. The administration was carried out for 56 days. On the 57th day, animals were sacrificed by cervical dislocation. Organs were harvested and blood samples were collected for biochemical analyses. Results showed that the administration of HFD increased the total cholesterol, LDL-Cholesterol, triglycerides levels and decreased the HDL- cholesterol levels significantly (p <0.05). Simultaneous administration of Chrysophyllum albidum extract significantly (p<0.05) reduced the total cholesterol, LDL-Cholesterol, triglycerides levels and increased HDL- Cholesterol. Final body weights of animals that received Chrysophyllum albidum extract were significantly (p<0.05) lower than final body weights of animals in groups 2 (negative control). Results from Histopathology revealed inflammation of the liver and kidney of rats in group 2 (negative control). On the other hand, rats that received orlistat and Chrysophyllum albidum extract had normal liver and kidney architecture. It was concluded that Chrysophyllum albidum extract showed antihyperlipidemic effect in rats fed with beef tallow supplemented diet. Graham, D.J., Staffa, J.A., Shatin D., Andrade, S.E.E, Schech, S.D., La Grenade, L., Gurwitz, J.H., Chan, KA, Goodmsn, M.J and Platt, R. (2004). Incidence of hospitalised rhabdomyolysis in patients treated with lipid lowering drugs. Journal of American Medical Association, 292:2585-2590. Guyton, J.R. (2006). Benefit versus Risk in Statin Treatment. American Journal of Cardiology, 97:95-97. Harini, M., Astirin, O.P. (2009). Blood cholesterol levels of hypercholesterolemic rat (Rattus norvegicus) after VCO treatment. Bioscience, 1(2): 53-58. Dwivedi S (2004). Atherosclerosis revisited. Indian Journal of Cardiology 7: 6-12. Emudainohwo, J.O.T., Erhirhie, E.O., Moke, E. G. and Edje, K. E. (2015). Review on Ethnomedicine, Phytochemistry and Ethnopharmacology of Chrysophyllum albidum. Journal of Advances in Medical and Pharmaceutical Sciences, 3(4): 147-154. Bello, F.A. and Henry, A.A. 2015). Storage effects and the postharvest quality of African star apple fruits (Chrysophyllum africanum) under ambient conditions. African Journal of Food Science and Technology, 6(1):35-43. Adewusi, H.A. (1997) The African star apple chrysophyllum albidum indigenous knowledge from Ibadan, South western Nigeria. In proceedings of a National workshop on the potentials of the star apple in Nigeria. Pp.25-33. Abiodun, H.A., Amos, O.A., Roseline, K., Samuel, O.O., Olumide, O.O. and Oluwaseun, A.O. (2011). Hepatoprotective activity of Chrysophyllum albidum against carbon tetrachloride induced hepatic damage in rats. Canadian Journal of Pure and Applied Sciences, 5(3):1597-1602. Adewoye, E.O., Salami, A.T. and Taiwo, V.O. (2010) Antiplasmodial and toxicological effects of methanolic bark extract of Chrysophyllum albidum in albino mice. Journal of Physiology and Pathphysiology, 1(1):1-9. Okoli, B.J. and Okere, O.S. (2010). Antimicrobial activity of the phytochemical constituents of Chrysophyllum albidum G. Don_Holl. (African Star apple) plant. Journal of Research in National Development, 8:1-9. Olorunnisola, O S., Amao S, Ehigie LO and Ajayi AF. (2013). Anti-hyperglycemic and hypolipidaemic effect of ethanolic extract of Chrysophyllum albidum seed cotyledon in alloxan induced diabetic rats. Research Journal of Applied Science, 3(2):123-127. Cha, M.C., and Jones, P.J. (1998). Dietary fat type and energy restriction interactively influence plasma leptin concentration in rats. Journal of Lipid Research, 39:1653-1660. Asashina, M., Sato, M. and Imaizumi, K. (2005). Genetic analysis of diet induced hypercholesterolemia in exogenously hypercholesterolemic (Ex HC) rats. Journal of Lipid. Research, 46: 2289-2294. Milagro, F.I. ; Campion, J. and Martinez, J.A. (2006): Weight gain induced by high-fat feeding involves increased liver oxidative stress. Obesity (Silver Spring), 14:1118-1123. Martins, I. J. and Redgrave, T. G. (2004). Obesity and post-prandial lipid metabolism. Feast or famine?â€ Journal of Nutritional Biochemistry, 15 (3): 130-141. Mbikay, M. (2012). Therapeutic potential of Moringa oleifera leaves in chronic hyperglycemia and dyslipidaemia. Frontiers in Pharmacology, 3 (24):1-12. Takasaki, Y. (2005). Serumlipid levels and factors affecting atherogenic index in Japanese children. Journal of Physiological Anthropology and Applied Human Science, 24 (4) : 511-515.